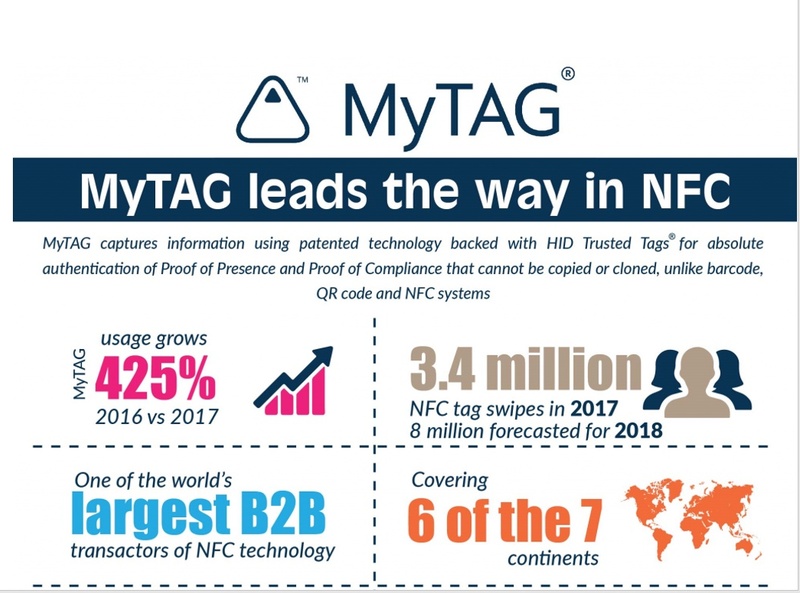 MyTAG leads the way in NFC - Authenticate Group LTD. Check here for updates on this exciting NFC solution and contact us to find out how MyTAG can enhance and streamline your business. 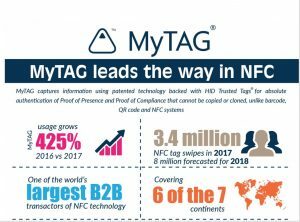 2017 has been another fantastic year for MyTAG and in general for NFC tags and NFC cards, with usage growing 425% compared to 2016! One of our tags is now read every 4 seconds by a Near Field Communication (NFC) reader and November 2017 was our busiest ever month with 656,000 NFC tag swipes. These results make us one of the world’s largest B2B transactors of NFC technology, and with new applications in facilities management, property, security, retail, healthcare, hotels and infrastructure, our growth looks set to continue.